Since the establishment of bilateral diplomatic relations in 1973, trade and investments between Singapore and Vietnam have grown immensely and has been a significant factor in forging robust bilateral ties. 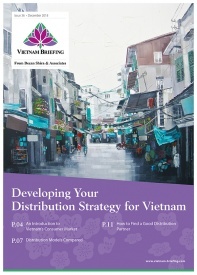 In addition, since the implementation of the Connectivity Framework Agreement in 2006, several steps have been taken in creating a conducive environment for Singapore companies investing in Vietnam. The seven Vietnam-Singapore Industrial Parks in Binh Duong, Hai Phong, Bac Ninh, Quang Ngai, Hai Duong and Nghe An are examples of the close economic cooperation between the two countries. 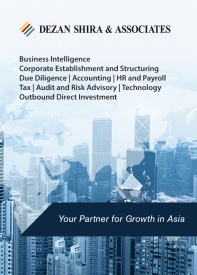 Vietnam is one of the key investment destinations for Singapore companies. Until 2016, there were 1,786 investment projects with registered cumulative investments of US$37.9 billion. In 2016, Singapore was the third largest source of FDI into Vietnam, accounting for 9.9 percent at US$2.41 billion. In terms of newly registered capital, real estate and construction were the most appealing sectors. In terms of value, apart from real estate and construction, manufacturing especially in the textiles and garments were the key sectors. Over the years, the seven Vietnam-Singapore Industrial Parks has attracted over US$9 billion in investments, with 600 companies providing jobs for more than 170,000 workers, which highlights the success of the jointly developed industrial parks. The industrial parks are good landing zones for Singapore companies looking to set up in Vietnam given their experience and expertise in managing such parks. Currently, Singapore companies from food manufacturing, chemicals, and precision engineering have a presence in these parks. 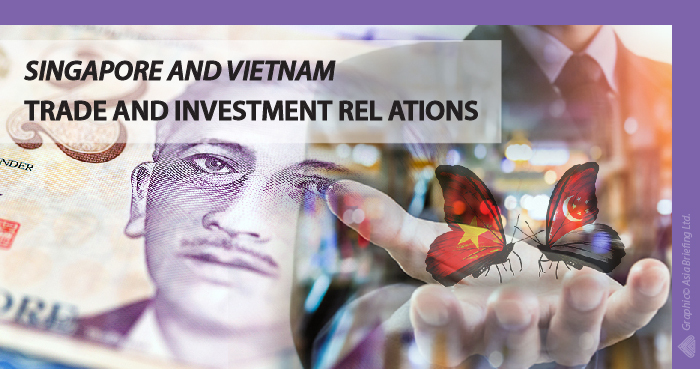 Vietnam’s strategic location, low-cost labor, burgeoning consumer class, and incentives to foreign investors have made the country an attractive destination for Singaporean foreign direct investments (FDIs). Bilateral trade between the two neighbors reached US$19.8 billion in 2016. Singapore is Vietnam’s sixth largest trading partner, while Vietnam is Singapore’s 12th largest trading partner. Commodities that have witnessed the highest growth in trade include iron and steel products, grease, leathers, tobaccos, glass products, seafood, and vegetables. 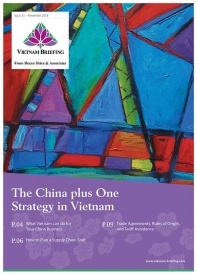 Vietnam’s growing economy offers numerous opportunities for Singapore companies. Major sectors of interest include manufacturing, consumer services, hospitality, food processing, infrastructure, real estate, high-tech manufacturing. With Vietnam emerging as a manufacturing hub and a low-cost alternative to China, Singapore companies can establish manufacturing operations in Vietnam and provide supporting services like automation and logistics services for companies establishing such operations in Vietnam. Foreign investments in manufacturing will also drive demand for utilities and transportation needs and Singapore companies can contribute towards these areas as well. The rise in incomes, positive demographics, and increased urbanization provides huge opportunities for consumer goods and service. Growing middle class can drive huge demands for food & beverages, entertainment, and lifestyle products and services, especially in the larger cities. Total consumer expenditure in Vietnam increased to an estimated US$146 billion in 2016 from US$80 billion in 2010, a hike of more than 80 percent. In the same period, rural consumer expenditure rose by about 94 percent, more than the 69 percent increase of urban consumer expenditure, while spending by urban residents was higher than rural spending and accounted for 42 percent of the country’s consumer expenditure. Due to its low agricultural output, Singapore imports almost 90 percent of its food products from neighboring countries. This has led Singapore to develop expertise in the areas of storage, logistics, and packaging. On the other hand, the agriculture sector in Vietnam has been a major contributor to their economy but its products are perceived as being of lower value and quality. Singapore firms can provide the expertise in the use of advanced technology and techniques for value-added processing. Apart from investing in Vietnam, firms can also re-export the food products from Singapore after value-added processing. With rapid urbanization, public infrastructure projects such as residential development, transportation, economic zones, and water treatment plants are struggling to keep up the pace with the economic growth. Hanoi and Ho Chi Minh City alone are seeking funds worth US$4.6 billion for infrastructure projects. Although public and private sector infrastructure investment averaged 5.7 percent of the GDP in recent years in Vietnam, private investment accounted for less than 10 percent. The government cannot finance all the projects through loans or state budget and public-private-partnership (PPP) offers a new alternative. The private sector can bring financial resource and the expertise needed to support infrastructure projects led by the Government. In the last few years, exports of high-tech products have increased considerably. 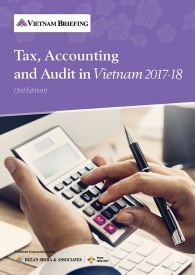 In 2016, telephones, electronics, computers, and components accounted for 72 percent of Vietnam’s total export. Companies such as Panasonic, Samsung, Foxconn, and Intel have all made significant investments in the country. 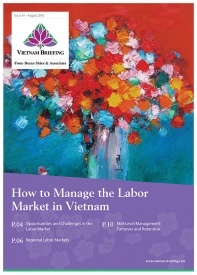 The government incentives in the form of tax reductions, preferential rates, exemptions for investments in the high-sectors have led numerous global technology firms to shift their production hubs to Vietnam. 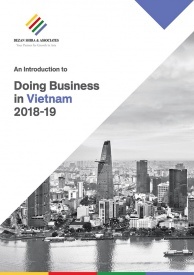 According to the 2017 World Bank’s Ease of Doing Business index, Vietnam ranked 82nd amongst 190 economies, up from 91st the previous year. Starting a business, enforcing contracts and property registration witnessed a drop in rankings in comparison to previous year’s rankings. In contrast, areas such as protecting minority investors, cross-border trading, and paying taxes witnessed a jump in rankings driven by numerous reforms implemented last year. Other challenges faced by foreign investors are corruption and lack of Intellectual property rights enforcement, which affects investments, especially in the high-tech sector. In the recent 2016 Corruption Perceptions Index, Vietnam ranked 113th amongst 176 economies. The government also acknowledges that it is a serious issue and has taken relevant steps to curb corruption such as passing the law on access to information, revising Law on anti-corruption, and incorporating the United Convention against Corruption (UNCAC) regulations. In March 2017, companies from Singapore and Vietnam signed five Memoranda of Understanding (MOUs). One of the MOUs focuses on developing a software park in Da Nang. Under the second MOU, companies will conduct a feasibility study on developing an eighth Vietnam-Singapore Industrial Park in the Quang Tri Province. Other MOUs focus on power plant projects, entrepreneurship, social innovation, and exploring new investment opportunities. Apart from the MOUs, the State Bank of Vietnam has agreed to grant in-principle approval to United Overseas Bank (UOB) to set up a foreign-owned subsidiary bank in Vietnam. Other areas discussed were, increasing trade connectivity and increasing investment in the transportation and infrastructure sector. Going forward, apart from manufacturing, real estate, and construction, sectors such as e-commerce, food and drink, education, and retail will see an increase in investments from Singapore. Investments will continue to be influenced by factors such as the growth of manufacturing base, increase in consumer expenditure, and government reforms.